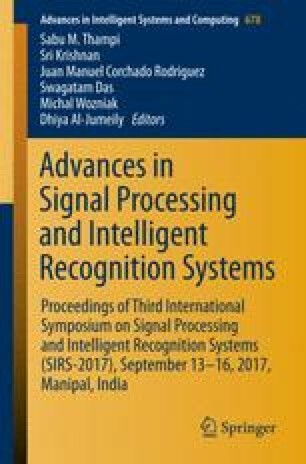 Speech processing techniques help improving real-time communication between human to human, human and machine, machine to machine. If these techniques are used integrated with robots, then their physical flexibility and wider reach can enable a wide range of real-time applications. In this paper, we propose an ‘Intelligent Cry Detection Robotic System’ (ICDRS) for real-monitoring of child-beating in classrooms, in order to facilitate prevention of child-abuse prevalent in this form. The proposed system has two major modules: the ‘Cry-Detection System’ (CDS) and a ‘Smart Robotic System’ (SRS) equipped with audio-visual sensors. The CDS unit present in the classroom, consist of three parts. First, the cry-recording unit (CRU) records the audio signals and sends to ‘Signal Processing Unit’ (SPU). Then SPU applies signal processing techniques, and intelligently detects the cry events using the features extracted from the acoustic signal. If the system detects a cry, then it further sends the control commands to the ‘Signal Transmission Unit’ (STU), which sends an automatic SMS to the Vice-Principal or Supervisor-Teacher, i.e., the person-in-charge, thereby alerting him/her about the child cry in a particular classroom. The controlling person can give control-commands to the SRS from a web-application and can get the live-stream of the video from the classroom. A Wi-Fi module acts to facilitate the communication between this controller and the Robot (SRS). The initial performance evaluation results are very much encouraging. The proposed system can have potential applications in the schools, hospitals and child care centers etc. Hopefully, this prototype can be a useful step towards preventing child-abuse, prevalent in different forms in our society.